Enjoy wet shaving even when you travel. 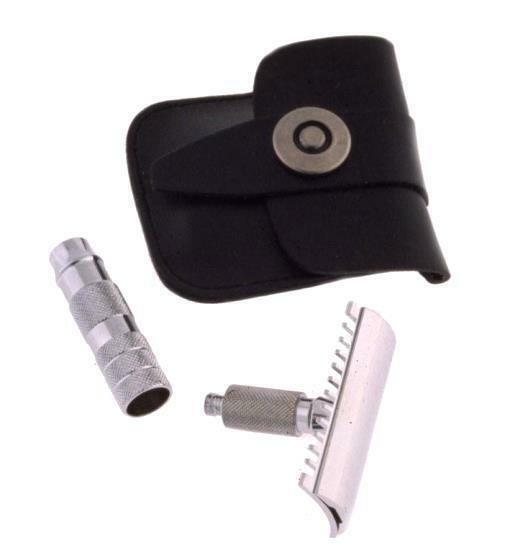 This regular size Merkur travel razor with open tooth comb breaks down to fit inside a tiny black leather case. The open tooth helps pick the beard up for a comfortably close shave. Case size: 2 1/2" X 2 1/2"